A large portion of Austin's early psychedelic musical heritage, “psychedelic rock” is a style of rock music that is inspired or influenced by psychedelic culture and attempts to replicate and enhance the mind-altering experiences of psychedelic drugs. The first group to advertise themselves as “psychedelic rock” was The 13th Floor Elevators from Texas (at the end of 1965). The term was first used in print in the Austin American Statesman in an article about the band titled, Unique Elevators shine with psychedelic rock, dated February 10, 1966. Theirs was the first album to use the term as part of its title, in The Psychedelic Sounds of the 13th Floor Elevators, released in August that year. This was Tommy Hall's band and project. Specifically, Tommy Hall and his 13th Floor Elevators helped bring in this psychedelic era. The band was formed when Roky Erickson left his group The Spades, and joined up with Stacy Sutherland, Benny Thurman, and John Ike Walton who had been playing Texas coastal towns as The Lingsmen. Tommy Hall was instrumental in bringing the band members together and joined the group as lyricist and electric jug player. During their career, the band released four LP records and seven 45's for the International Records record label. 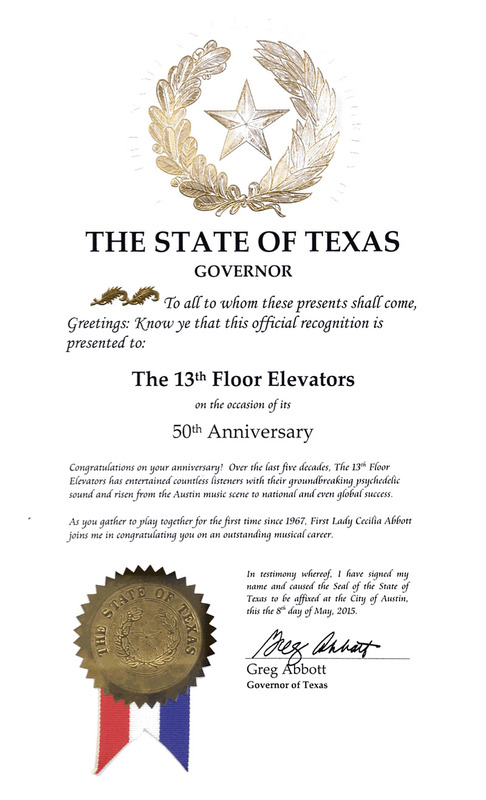 The 13th Floor Elevators emerged on the local Austin music scene in December 1965. 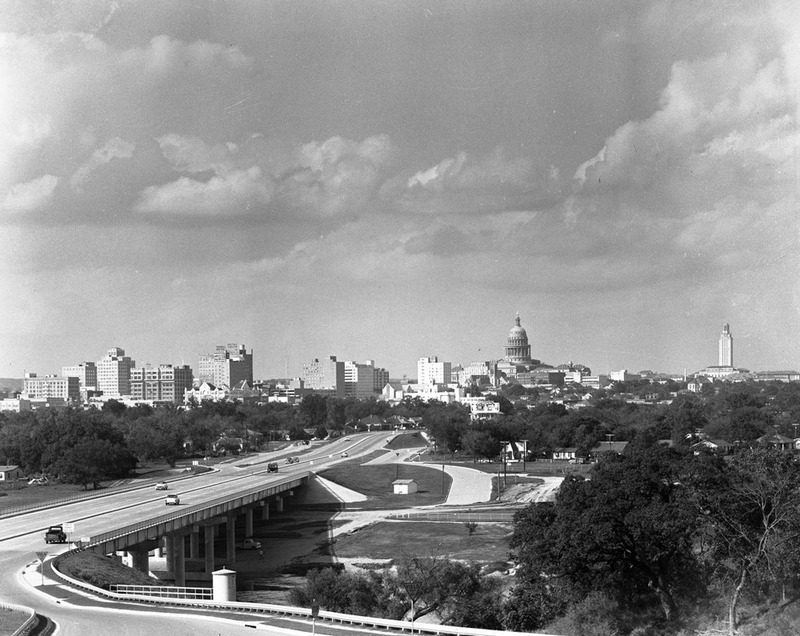 The group was an instant success in the Austin area. They … were soon offered a one-off recording contract for a 45. The 45 - a re-recording of "You're Gonna Miss Me" with an unusual "electric jug" sound added by Hall - was a smash hit in Austin, reaching #2. 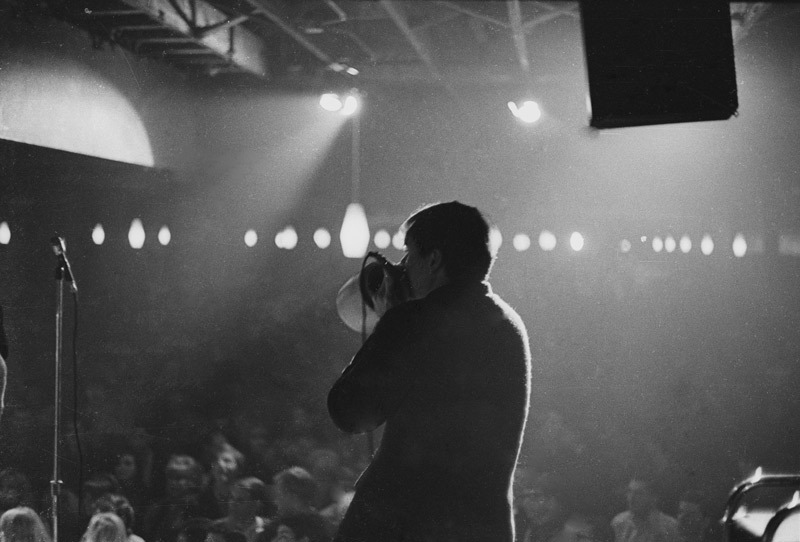 Throughout the Spring 1966 the group toured extensively in Texas, making TV appearances and building a growing cult inspired by energetic live shows and a mysterious image… The group set off on a successful West Coast tour where they made two appearances on national TV and played several times at the famous San Francisco Fillmore and Avalon Ballrooms. [They] inspired several of the Bay Area bands who opened for them, including pre-Jefferson Airplane Great Society, Quicksilver Messenger Service and Janis Joplin's Big Brother & the Holding Company. Their contemporary influence has been acknowledged by 1960s musicians such as Billy Gibbons of ZZ Top, Peter Albin of Big Brother and The Holding Company, Chris Gerniottis of Zakary Thaks and Jack Casady of Jefferson Airplane.